The number of people wanting to apply for a credit card is in a constant rise. These individuals have various reasons why they deem they need one with some requiring a way for them to make purchases without any cash on hand, while others finding it necessary to own one for them to have a good credit score. Over the years, a few notable credit cards gained recognition. One example of them is the AUB Platinum Mastercard, which has a low interest rate, a commendable reward point system, and a free annual fee for life—the last item being its huge selling point. However, there are some that prefer other features such as a balance transfer. For those who don’t know what balance transfer means, it allows cardholders to transfer the balance of their other credit cards to the one with that certain feature. This is very handy for those who are having a hard time paying off all their credit card bills. Of course, some of these cards havefees that you need to pay when you use this feature. Thankfully, there are credit cards that provide this service for free (given a set of conditions). Let’s explore them below. Security Bank is offering interested individuals to apply for their credit card which offers 0% balance transfers. Once you get approved, you can immediately start transferring over the balance of your other cards without paying any fee. Do take note, however, that you must apply on their website in order to avail of this promo. It is also not applicable to their cashback and click credit cards. Also, you may not get it if you are under a member-get-member referral program. The HSBC Gold MasterCard has a 0% balance transfer which is being applied for the first 18 months of you having the credit card. It also has a 0% intro annual percentage rate on the purchases you made also the first 18 months. This will later on changed to 12.74%, 16.74%, or 10.74%. Additionally, this card has no annual fees and no foreign transaction fees. The Citi Diamond Preferred Card provides cardholders a 0% intro APR on balance transfers for 21 months. The rate will later be changed to 14.74%-24.74%. Other benefits you can look forward with this card are discounts through Citi Private Pass, access to special events (also thanks to Citi Private Pass), and personal concierge services whenever you plan to go travel. Citi has also waived the annual fee for this credit card. The other Citi credit card on this list; Citi Simplicity Card has a 0% intro APR for 18 months for all of your balance transfers as well as new purchases. After this time period, depending on your credit, this will change to 15.74%-25.75%. 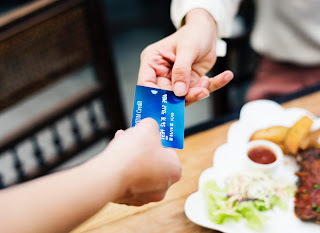 Although this card does not have a reward point system or a cash back program, its cardholders can take advantage of the fact that it has no penalty interest rates and no late fees. This list contains some of the most notable credit cards when it comes to a no balance transfer fee. If you are interested in other cards with other features, you can always check others, such as the AUB Platinum Mastercard and the AUB Classic Mastercard. Take your time looking for the best one that will suit your needs.